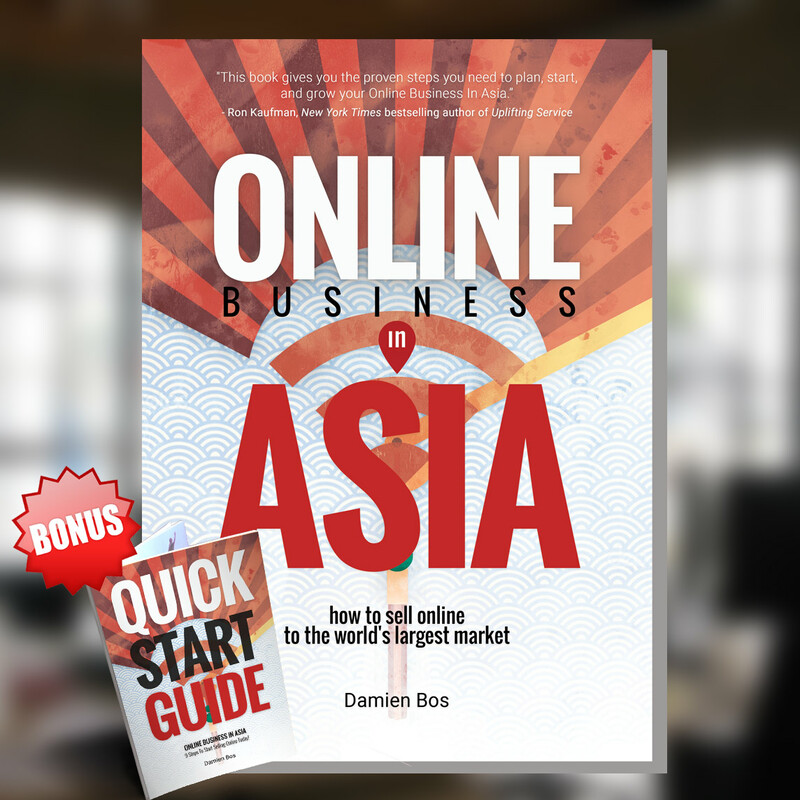 Interested in getting started with international e-commerce via a Hong Kong limited company? Overwhelmed and not sure where to start? Today I hope to ease some of those concerns, as I remember being on your side of the monitor researching my brains out about how to setup my online business in Asia. Even to this day its still not as developed as the West, and most banks and businesses in Asia are accustomed to traditional business rather than e-commerce. That means there is still tons of opportunity in establishing an e-commerce company here in Hong Kong. Let’s delve into some of the setup and operations of doing so. 1. Who are your target customers? Are they in China, Hong Kong, Southeast Asia, USA, Europe? You may say “everyone”, but that is a true rookie mistake. Understanding your target buyer is critical, especially in e-commerce when you need to setup your fulfillment plan. 2. Will you be selling on your own website or focusing on marketplaces like Amazon and eBay? Where will you be focusing your marketing efforts? Building up your own traffic and buyers on your own web domain, or leveraging the vast network of big established marketplaces. Yes, again the answer may be “Both”, but by having one to start your focus on will allow you to sleep better at night. Trust me, focus is hard, but will go a long way. 3. Taking inventory? Drop shipping? Crowdfunding? This is critical for e-commerce, what is your business model? Are you buying stock and holding it in a warehouse? Are you instead taking less risk and selling someone else’s product via drop shipping? Or, are you onto the newer models where you pre-sell and crowd fund the product before paying for it and having it manufactured? 4. Fulfillment and warehouse. The true engine of an e-commerce business that makes or breaks the business long term. Will you use Amazon’s FBA (Fullfilled by Amazon), or another 3rd party logistics warehouse? Storing stuff in your garage? Having your factory send directly to your customers? Sure, things can evolve as you grow, but an initial logistics plan goes a long way. Hopefully these got your minds focused on business model. While I love the lean startup model, in e-commerce you need to have your operations outlined a bit more before “seeing what sticks”. So now that you made you business plan outline, where will you setup your company? Hopefully you’re convinced from the blog here that Hong Kong is a great place to get it established. Setting up and operating a company in Hong Kong is much easier and more streamlined than mostly all other countries in Asia. Are you living and working in Hong Kong? If so, it may be easier to meet an accountant or agency face to face and dig through the steps necessary. If you’re overseas, it will be a bit more tricky and I suggest finding an agency to work with who knows you’re overseas and has tools and workflows in place to help accommodate for you. Full disclosure, I am an agency and would love to see if we’re right to work together. Check out my site at the end of this article. Being an e-commerce company, you probably hate paper! I totally feel your pain, but in Hong Kong it is still hard to be fully paperless. So having an agency and a Hong Kong secretary address that helps scanning the letters and sending to you an email is a blessing! Once you get the company setup, the next big step is getting your business bank account established. All businesses these days want online banking, but especially you as an e-commerce business. While it is a basic requirement for most companies today, online banking still isn’t on all banks in Hong Kong. This is why I recommend you first go with HSBC. They have the best online banking for Hong Kong, which you’ll use on a regular basis. Besides the online banking, you should also see where your suppliers have their bank accounts. If they are also using HSBC HK, you can transfer to them same day for no fee. Whether you choose HSBC or another, try your best to see the online banking options. Once you have your company and bank account ready, go back to your checklist. Is your distribution strategy selling on marketplaces like Amazon and eBay? Or if you’re targeting the Chinese market, is it Taobao and Tmall? Now that you have the necessary basics ready, time to apply to be a seller on the marketplaces in your business plan. They will ask about your company and CR (company registry) number which you will receive when your company is setup. Also they’ll need you bank account number to verify the account and also know where to deposit you funds. Amazon currently doesn’t support bank transfer to Hong Kong companies, so you will receive a paper check from them. Work this into your business operations and have it deposited to your account. Selling on your own shopping cart? Cool! You can install a server and shopping cart on your own website or use something like shopify, the same as anywhere you’d incorporate. Working out these marketplaces operations will be a bit of a process, but luckily once they are setup, you are good to get business going. Selling on your own website? Or even eBay, will require a Paypal account. Everyone should probably get a Paypal account for their new e-commerce Hong Kong company. Its free and you can get it verified pretty easily with your new bank account. The big question is, do you need to apply for a merchant account? This goes back to who your target customer is? Do they usually have a Paypal account? Selling online in Hong Kong, a lot of people do have Paypal, so you could get away with just Paypal if you’re targeting the Hong Kong e-commerce market. But I’m sure you want customers from everywhere, right? Why not, more sales is more money! Merchant accounts in Hong Kong is something I have been studying for years and it is getting much better. Braintree earlier in 2015 started accepting Hong Kong businesses, and we’re hoping Stripe will be here in the end of the year. I am aware of a couple Hong Kong local startups also looking to disrupt the market soon. As more choices come, that means better terms for you. The application process for any merchant account is going to be a process. Prepare all your documents and plan for at least two weeks until you get up and running. I would even say give yourself a month to be safe. They will most likely have a few followup questions during the application process. Currency Selection: Selling In HKD or USD? What currency will you charge your customers in? Depending on your merchant account, you may have to choose 1 and stick with it. From my experience and research, only Paypal allows you to hold multiple currencies sent in by clients. Other merchant accounts will ask you which currency to settle your transactions in, aka called a batch. What is the thought process for deciding? I would think the currency you are operating in. Are you paying your suppliers, staff, and service providers in HKD or USD? How about your credit card? If you get a Hong Kong company credit card, most likely that will settle in HKD. My guess is at first you will want to do everything in USD, as that is what you’re comfortable with. But as time goes on and you’re more confident on using Hong Kong as your base, you’ll learn to operate in Hong Kong dollars. This is the key to a successful e-commerce business. There are tons of third party fulfillment houses in USA and even in Europe – but less options still in Asia. What are your options? Talk to your ocean container shipping provider, they may have a service you haven’t heard of before. There are more service providers such as Shipwire who are partnering with Asia warehouses to allow you to ship direct from Hong Kong. Where are your main customers based? Selling on Amazon in USA? Maybe best to still ship from USA, and use a service such as FBA. E-commerce is a fast paced business. Selling 1 piece at a time online, you will have a lot of transactions to settle and balance. So many e-commerce business friends just “throw up their hands” and wish for the best. But that is not sustainable. Getting your books in order is the best way for long term success. As a Quickbooks Pro Advisor in Hong Kong, I recommend using Quickbooks online. They have entered the Hong Kong market in 2015 and have localized their product to fit the market. You can sync with your HSBC HK business banking, as well as Paypal and many other integrations. I would recommend you get a bookkeeper to make sure that these transactions are mapping correctly, as well as to input the occasional journal entry when things may get to be special. Monthly reports may be sufficient when you are starting, but you should also look to setup business alerts so that you can keep on top of important milestones and issues as soon as they come up. Now that you have the company setup, banking, and merchant account with sales channels going – time to keep it up to date. After your first 18 months you will need to file your upkeep documents with the Hong Kong IRD (Internal Revenue Department). How much you ask? I know you’ll hate this answer, but most CPAs in Hong Kong will say “it depends”. By using an online bookkeeping software such as Quickbooks, you can reduce the amount of time a Hong Kong CPA has to spend going through your books. This means a reduced price for you. Budget about $1,000 to $2,000 USD per year in upkeep costs. This will include things such as BRC (business registration certificate), annual audit by a CPA, and your 1 year extension on a Hong Kong secretary address. Personally, I am working hard as a service provider to lower this cost more, and working with the Hong Kong IRD on finding more online ways to file, especially now that Quickbooks is in Hong Kong. As an online business entrepreneur myself, I see the headaches we have dealing with yearly upkeep in Hong Kong so stay tuned for updates on a low cost online package. So hope this short guide gave you a clear picture on how to establish your e-commerce business in Hong Kong. My main recommendation is that the core is still finding a good product niche and getting your business model and operations going. Filing a company and all the upkeep is the details, and will work itself out so long as you have a good business process and are diligent. I wish you the best of luck! If you enjoyed this guide, I do recommend you to check out my full book “Hong Kong Supercharged” that goes through the full details from what you need to open the company, registering, and operating.